Beogram 1500 is the acclaimed Beogram 1000 3-speed stereo record player equipped with a built-in stereo output amplifier delivering 2 x 8 watts of audio output. The Beogram 1500 has no built-in loudspeakers but may be se with external speakers e.g. the Beovox 800 or the Beovox 1000. 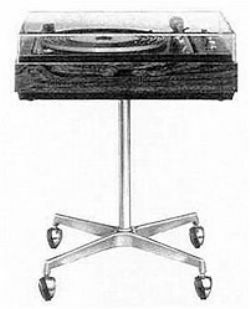 The Beogram 1500 has jacks for radio and for tape-recorder - the Beocord 1500 de Luxe would be particularly suitable. If you use the Beogram 1500 in connection with an FM tuner e.g. 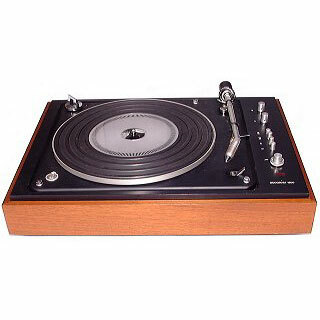 the Beomaster 5000, you have a small but complete hi-fi system. In the real world, this is a Beogram 1000 with a rather nice 8W per channel amplifier attached. 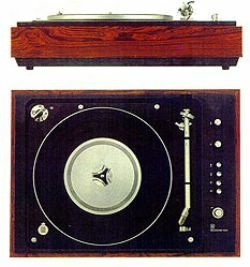 There are two types with the later ones using the same amplifier as the very upmarket Beocord 2400 reel to reel deck. Surprisingly good though the isolation of the deck was no better. Beoworld says: A Beogram 1000 with a built in amplifier. Plenty around. A little restricting as low power and no way to upgrade.